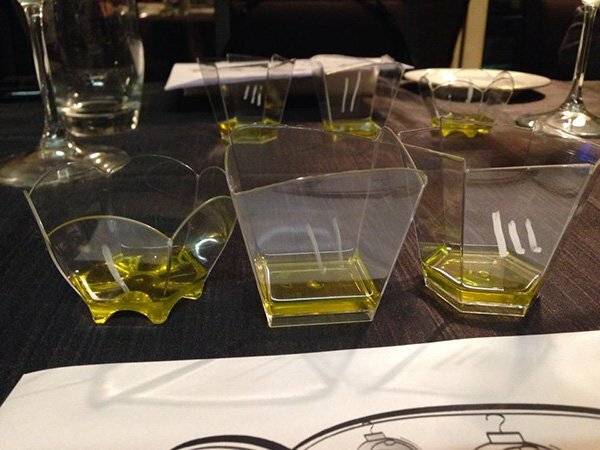 EVOO Italian Olive Oil Master Class - "In Search of Pleasure"
WHY “IN SEARCH OF PLEASURE”? Among the various sources of pleasure, that of food and wine is one of the most basic. and, above all, contemporary cuisine. examination of the pleasure that cuisine can provide: champagne and extra virgin olive oil. understand and appreciate the ties between the local area and its wines and olive oils. The Master Class program spans over two-and-a-half days. It is a residential course at the Azienda Agricola Ione Zobbi, founding member of the Club I&P. It normally begins on Friday evening and concludes on Sunday evening. 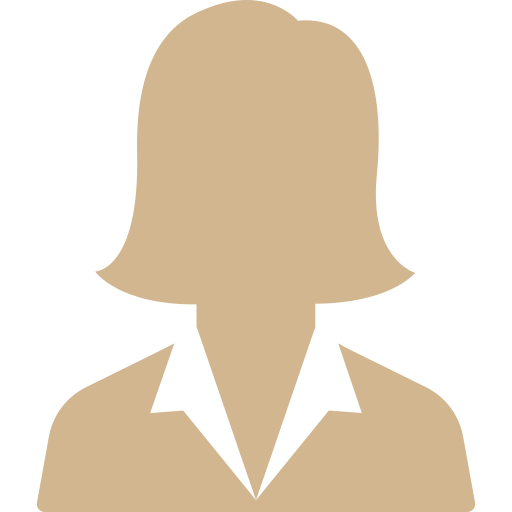 A Program Director coordinates the activities. 7:30 – 8:00 pm Arrival at the farm, registration and welcome aperitif. 8:00 – 10:00 pm Welcome dinner (A). 9:00 – 9:30 am Program presentation. 9:30 – 10:00 am Tour of the oil mill. 10:00 – 11:30 am Master Class on extra virgin olive oil (I). 11:30 am – 1:00 pm Master Class on champagne (I). 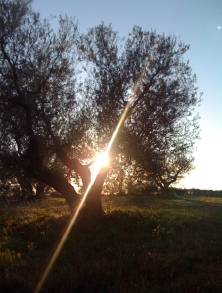 3:00 – 5:30 pm Tour of the olive groves and open-air snack. 5:30 – 7:00 pm Master Class on extra virgin olive oil (II). 7:00 – 8:30 pm Master Class on champagne (II). 11:00 pm – Midnight Philosophical reflections on contemporary cuisine. 9:30 am – 12:30 pm Tour of the naturalistic park of Vulci. 12:30 – 1:30 pm Master Class on champagne (III). 3:30 – 5:00 pm Master Class on extra virgin olive oil (III). 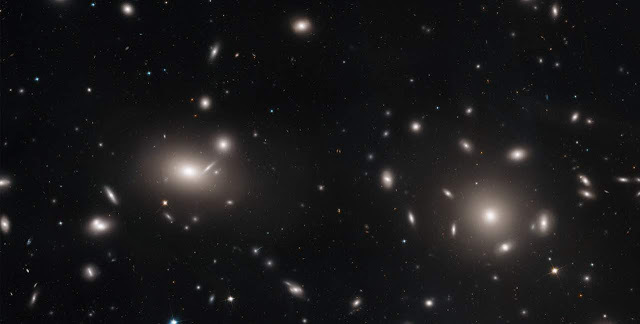 5:00 – 6:00 Debriefing and final reflections. Accommodations: In holiday farms and B&Bs in the area, to be selected and arranged by participants. Part I – 90 min. 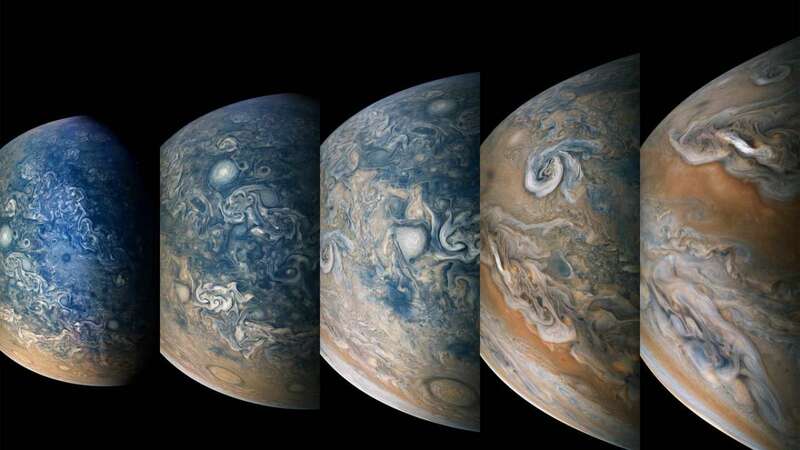 Part II – 90 min. Part III – 90 min. Lunches will be comprised of three courses with two champagnes. Dinners will be comprised of five courses with three champagnes. During the meals, the dishes will be accompanied by different champagnes for each dish. In total—including the tastings—at least 16 champagnes will be sampled. Each dish will be prepared using different I&P oil produced by the Azienda Agricola Ione Zobbi. In total—including the tastings—at least 12 extra virgin olive oils will be sampled. During the meals, the champagne and oil pairings will be explained. The philosophy behind the Club I&P cuisine is based on two cornerstones. Adrià), strives to astound and amaze the customer with dishes that are innovative, unusual, strange, etc. customers do not go home with a sense of “having experienced pleasure”. • The food and ingredients are carefully selected. • The preparation technique (both innovative and traditional) is impeccable. • With every dish, the customer always wants “just a bit more”. • Everything works together to provide a sense of pleasure. At the end of the meal, the customer actively feels the “pleasure of living”. We follow the philosophy of Invisible Cuisine. fleeting moment—the profound and simple pleasure of living. intangible, invisible. In the kitchen, the invisible is the momentary resonance of the infinite factors that contribute to the complete fruition of a meal and not just the sum of the various dishes brought to the table and the wines and ingredients that are used. the farm’s olive groves located in the heart of Tuscia. 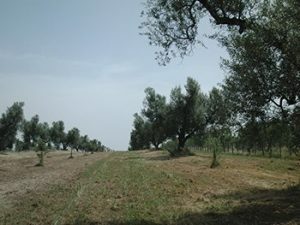 We will go from the Gioacchina olive grove (160 m a.s.l.) to the Capo Terzo olive grove (300 m a.s.l.). At Capo Terzo a light snack of bruschette and local pecorino cheese will be served. achieving deeper satisfaction, as well as understanding—through the food experience—a large part of the sphere of human relations and our own view of the world. context in which our “tribe” has developed. of behavior accumulated by a civilization over time. In this age-old process, the great cuisines—such as the Italian and French (they are cousins with the same origin) and Chinese—were formed. And with them, the great gastronomes, such as the Roman and Chinese. our values and our inner identities. • What are the trends in this new gastronomic culture? • What does it say about our civilization? 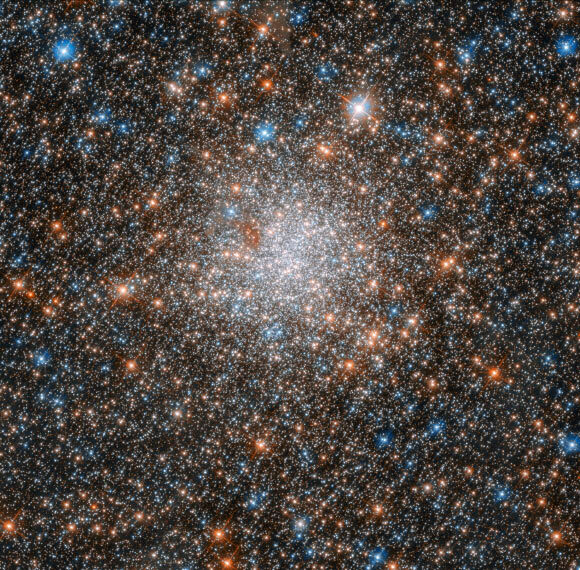 • What does it say about us and our search to understand the reasons of existence? Tuscia is the name given to Etruria following the fall of Etruscan dominion. 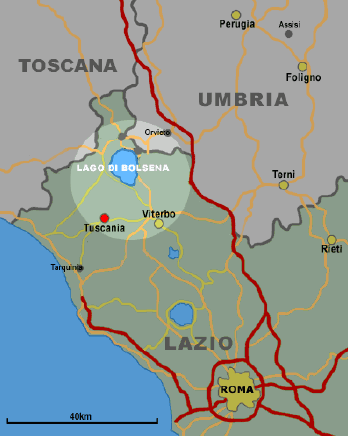 volcanic origin occupying the land around Lake Bolsena. Tuscany. Still today it is a largely unspoiled area with a wealth of forest land where, fortunately, nature still reigns supreme. The Maremma is a vast geographical region lying between Tuscany and Lazio. Often the Maremma is only considered the area around Grosseto because it is the best-known. Dante, in Canto XIII of Inferno in the Divine Comedy, identifies its boundaries as being Cecina in the province of Leghorn and Corneto, modern-day Tarquinia. The Maremma is comprised of basically three zones: the north around Pisa and Leghorn, the center around Grosseto, and the south in Lazio. The Lazio Maremma extends in the west from the province of Viterbo to the very north of the province of Rome and it occupies the coastal area of upper Lazio and the nearby inland plains and foothills of Tuscia. Among the main centers in the zone are Vulci, Montalto di Castro, Canino, Cellere, Tarquinia and Tuscania. Among the fundamental things of this area are its traditions, tied to the events that have taken place here through the years and the difficult social conditions involving malaria, poorly-paid seasonal farm labor, and a life of hardships and suffering after the reclamation of the swampland began in the early 1800s under Grand Duke Leopold II, transforming into agricultural activity what this area had been know for—sheep farming. For centuries, the Maremma was also the home of brigands. Domenico Tiburzi was the last of hese, and for decades, in the late 1800s, he ruled over the dense forests in Lamone, today a nature reserve. His death, during a shoot-out with the Carabinieri, marked the end of the era of banditry and, alongside it, that of a malaria-ridden, sparsely-populated Maremma. With the agrarian reform and creation of the Maremma Board and distribution of land, the Maremma, today, still offers virtually the full splendor of its rugged natural beauty marked by sharp contrasts and bewitching colors. Vulci is an ancient Etruscan city in the area of Canino and Montalto di Castro, in the province of Viterbo, in the Lazio Maremma. Sitting on a plateau of around 120 hectares, on the shores of the Fiora River, it was one of largest city-states in Etruria and a bustling maritime and commercial center. Thanks to the major commercial emporium in Regisvilla, splendid objects from Greece and the eastern Mediterranean found their way here, and over two hundred years of archaeological activity have brought these to light. These objects are now the pride of leading museums around the world. The necropoleis which surround the city are located in Poggio Maremma, Cavalupo, Ponte Rotto, Polledrara, Osteria, Campo Maggio and Camposcala. 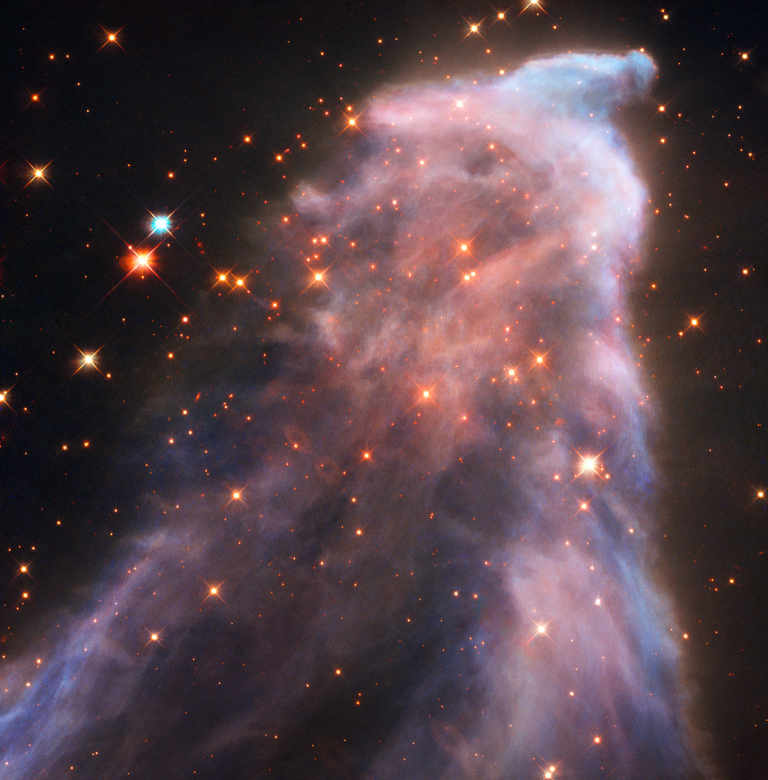 They contain thousands of tombs of various shapes and types. 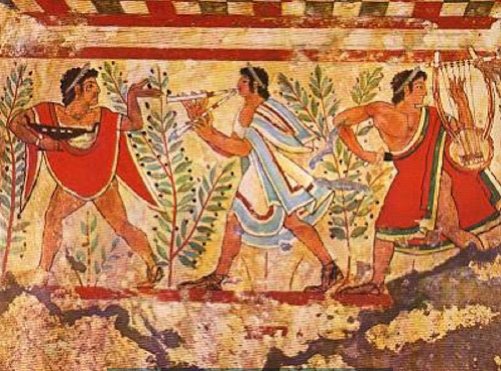 Among the best-known is the magnificent tumulus (grave) of the Cuccumella (18 meters tall with a diameter of 70 meters), the Cuccumelletta, the François tomb, and the tombs of the Bulls, the Inscriptions and the Two Entrances. Recently, in the Necropoli dell’Osteria, the imposing Tomb of the Sphinx was uncovered and made available to visitors following a long period of restoration. In addition to these examples of Vulci’s tremendous importance during the Etruscan period, within the Vulci Naturalistic and Archaeological Park are other very impressive monuments, such as the magnificent Devil’s Bridge (3rd c. BCE) which, over 20 meters tall, towers above the Fiora River in front of the medieval Badia Castle (12th c.). The Badia Castle was built nearby the Devil’s Bridge, a rugged structure constructed by the Romans on a similar one dating from the Etruscan era. Originally, this bridge which remained in use until the early 1960s, not only provided a crossing of the Fiora River, but also supported and aqueduct that delivered water to the city of Vulci. The castle was constructed during the 12th century by the Cistercian Order to defend the bridge and was erected on the remains of an older abbey built in the 9th century and dedicated to St. Mamilian that had been severely damaged by Saracen invaders. informational goals and how future Master Class programs could be improved. about champagne, extra virgin olive oil and contemporary cuisine. role in satisfying the inner needs of modern man. The oils used and tasted will be those of the Azienda Agricola I&P. 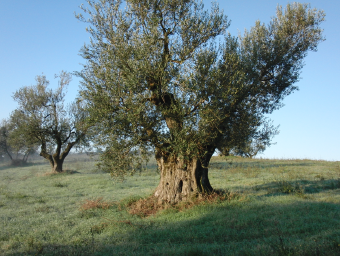 I&P oils are produced using different varieties of olives grown in a volcanic area around the town of Canino (Viterbo) and the neighboring towns of Tessennano and Arlena di Castro, all within the geographical area of Tuscia. I&P olive groves (within a 6 kilometer radius from the farm headquarters in Canino) extend along the hillsides of the (inactive) volcanic cone of Lake Bolsena, at an altitude ranging from sea level (0 m a.s.l.) to the top of the volcanic cone (630 m a.s.l.). The soil varies significantly from sandy-clayey to tuffaceous and even volcanic. It is rich in minerals that are particularly congenial to the olive tree and gives our oils unique aromas with fresh vegetal overtones. 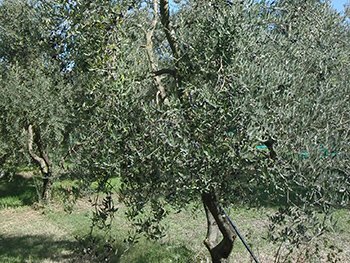 The concept behind the farm is an ambitious one: to get the maximum quality potential from the small olive groves scattered around the house. With the intent of championing monovarietals in their home territories. The result is eleven monoculture extra virgin olive oils from six different varieties of olive and individual plots of land whose every phase has been meticulously followed. 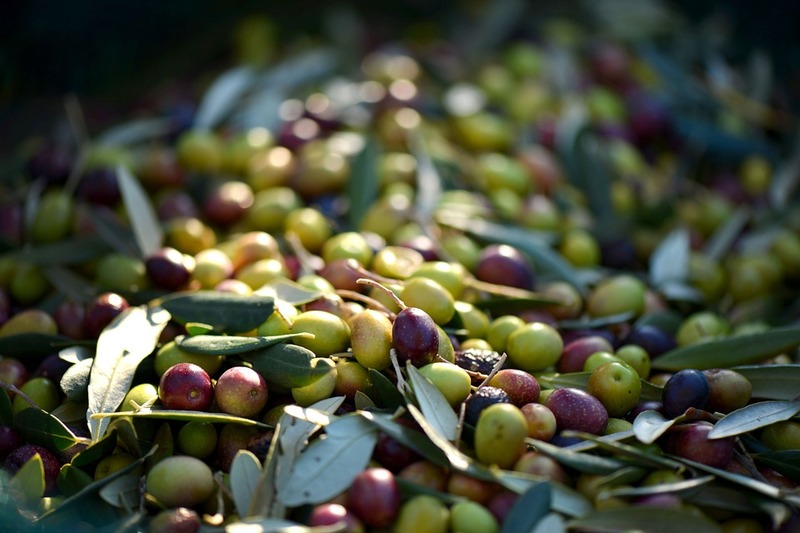 All phases of the production process are strictly controlled and each oil is made only from the olives grown in their respective groves. In order to have even greater control over the entire production chain, the farm now has its own mill designed and constructed by its “Maestro d’Olio”. 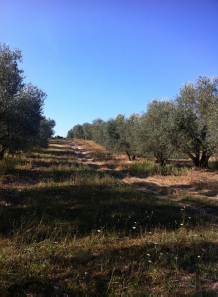 The farm follows the concept that: 1 Cru = 1 Cultivar + 1 Olive Grove. variability of their flavor year-after-year, distinguishing (retracing) their origin from each single micro-area, i.e., each olive grove, without attempting to maintain the taste of the oil artificially “constant” through mixing with other varieties or other olive groves. In this way, chefs in pursuit of perfection have the possibility to choose from a very wide range of flavors and aromas to complement or enhance those of their own culinary creations. Pressing always takes place within four hours of harvesting. The two-phase continuous cycle extraction method results in oils with a higher concentration of phenolic substances which have greater antioxidant properties. All our oils re either hammer-, disk- or knife-pressed. For the bottles (500 ml, 250 ml, 100 ml), dark green glass is used because of its elevated filtering potential. 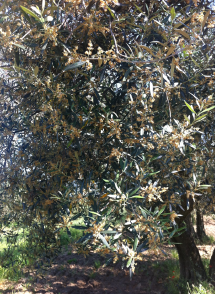 This guarantees optimal protection from the light, one of the worst enemies of olive oil. In addition, the 250 ml bottle significantly reduces oxidation between use. All of the bottles are capped with an injection of inert gas (nitrogen) to avoid oxidation while they are still sealed. Champagne is a wine with magical powers and always brings emotion with it, with aspects that are always new and exciting to convey to the palate. It is a wine with its own inimitable character whose history and erudition have captivated for centuries. The world of champagne is more complex than might be imagined—for example, the variety of its terroirs and procedures in the wine cellar, especially during blending to create this wine’s special alchemy. Champagne is a kaleidoscope of producers comprised of diverse situations and numerous aspects. There are the well-known maisons, such as Dom Perignon, Bollinger, Louis Roderer and Krug, but also the small vignerons who promote their native terroirs which, thanks to the “Selossian revolution”, many have begun to discover. Champagne is a unique wine thanks to its territory, and in these sessions we will have the opportunity to talk about and taste excellent examples of the various types. In fact, fine champagnes with a strong link to their terroirs will be tasted during the Master Classes and served with the meals. 11. Selosse Substance In each program, at least sixteen will be used. On the basis of availability, we reserve the right to change some of the labels, but always from the criteria of their excellence and worth. chefs on the impact of extra virgin olive oil on a dish. Currently, she is a visiting chef for events and exclusive programs. He was born in radiant Catania in the 1960s. of champagne and 007 fan. Magazine and Spirito di Vino, in which he has a regular column entitled “Vite da Champagne”. He works as a trainer for Eataly and organizes champagne courses and master classes. (Alassio) and Modena Champagne Experience. In 2015 and 2017 he was a finalist for Italy in the Concours d’Ambassadeur du Champagne. authenticity of raw materials and production innovation. which helps the man to feel satisfied. 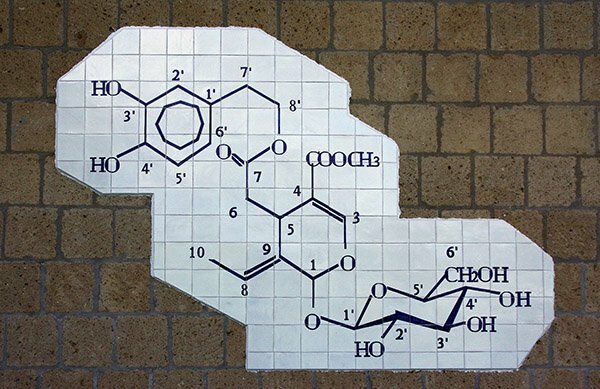 mono-varietal oil with its territory is still largely unexplored and deserves to be investigated. The program is open only The program is open only to adults over the age of 18 and members of Club I&P. Participants must declare of their own authority that they do not suffer from allergies or intolerances of any kind. When applying, they must complete a questionnaire for membership in Club I&P. 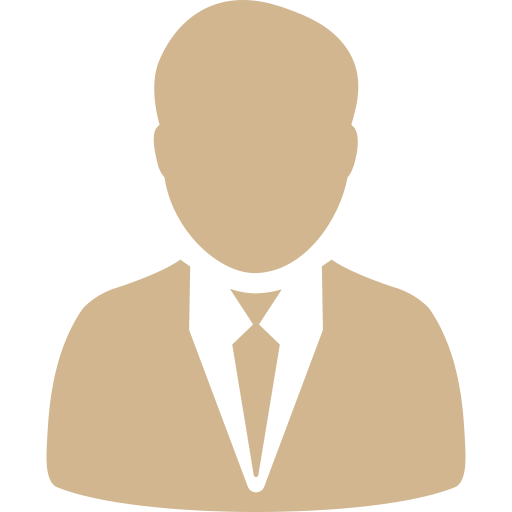 Membership is subject to the final decision of the Club Management. Failure to be admitted to the Club will result in non-admission to the Master Class. The cost of the program is €1,700 per person and includes all Master Classes, meals, oils, champagne and annual membership in Club I&P. It does not include sleeping accommodations which are to be paid directly by participants to the B&B of their choice. We are happy to suggest a variety of establishments and, if desired, make the reservation. Fifty percent of the cost must be paid at the time of enrollment and the balance within ten days of the start of the program. In the event of cancellation, no refund will be made of sums paid to-date. 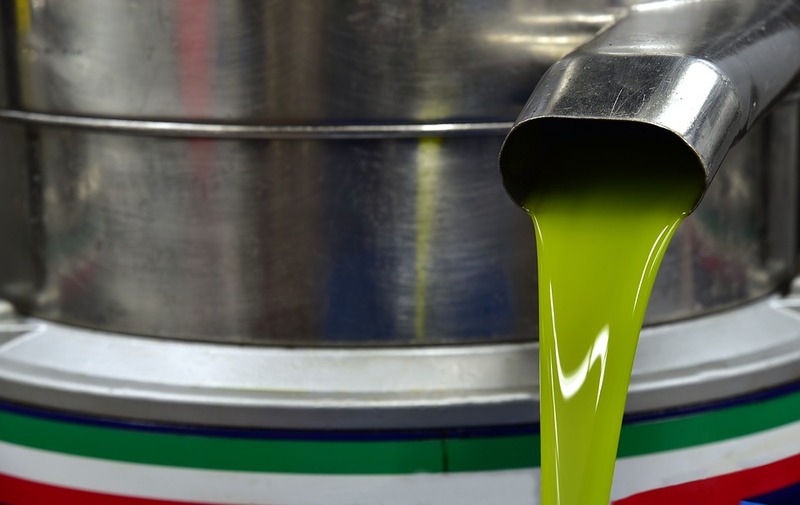 Extra Virgin Olive Oil – The new secret weapon for great chefs. EVOO I&P: its olive groves and its territory.